Stu is a pretty cool guy. He is high energy and always thinking both on and off the water. Stu is the creator of TroutSpotr, a web based application mapping out the basic regulations and access points of trout water in Wisconsin and Minnesota. It is an awesome app. It makes finding new accessible trout water much easier. We had an awesome morning in Southeast Minnesota on a well known stream that I’d never fished before. We arrived by 7am and were greeted by foggy streams and a friendly puppy. After a quick chat with another fisherman walking the opposite direction, we made our way up the stream. We fished “tandem style” in Stu’s words. Switching off every time we caught a fish. We took 6 or 7 out of the first pool and success continued most of the morning. Right when things seemed like they were cooling down and I was about to head out, we hit a slow run of rising trout. It was a picture perfect scenario. We were sight casting 40-60 feet to picky rising trout. Eventually, we learned all we could get them on was size 18 Adams and 20 Griffiths. So fun. Great way to end a morning. Had an awesome couple hours on the water last Monday afternoon. The cloud cover was good. Air wasn’t too warm. And a breeze made for good upper conditions. It isn’t at its peak, but hopper season has well begun here in the Wisconsin Driftless. We saw plenty of fish. Only a few rising. Throwing a hopper/dropper combination we caught fish on top and bottom. They aren’t quiet into their fall feeding frenzy, but it is coming. The trout are starting to put on their fall colors. This was an ambitious trout with big eyes for a big meal. We did manage a few 14-15 inch fish. Gorgeous. I’m a pretty lucky guy. I have an awesome dad. Last winter, I asked him if he wanted to do a father son activity of some sort. Something outside. He is pretty fit, so we talked about the different options and finally settled on a day of canoeing. We live in Southeast Minnesota and have some great rivers for canoeing. We decided to do a 5 hour paddle on the Root River. That morning, we stopped in Houston, Mn at Carlson Roasting Co. for fresh coffee and some fancy mini donuts. Fuel for the trip! Next we stopped in at Root River Outfitters who set up with canoe, paddles and life vests. The Root River is gorgeous. All sorts of wildlife. The only catch is that by the time you get to the last hour of the float from Moen Bridge, the tubers start floating down as well making a peaceful paddle an active game of dodging the floating drinkers. Of course, I’ve been the tuber too, but it is just something to be aware of depending on what type of experience you are looking for. I also caught a few small smallmouth bass on the fly. A nice bonus to an already awesome trip. The 1916 Root River Power Plant stands tall and quiet. Can’t wait until our next paddle, Dad. I’ve never ridden the fiberglass train, but I’ve always been intrigued ever since I read this post from the Fiberglass Manifesto. It was there where I learned about the featherlight. Well, I finally decided to pull the trigger. Unfortunately, when I went to Eagle Claw’s website, I learned they don’t produce the same series. They have the new #Fishskinsflyrod which is a heavier weight than I wanted. So what do most people do next? Head off to Amazon. I’m hoping to christen her this weekend on the Root River. Here’s to a great weekend! I think I’ll name her Anna. Its been a while since I’ve made a real attempt video edit of a fishing outing. That is partly due to time (lack thereof) and partly due to a change in the nature of my outings. In Virginia, when I went fishing, it was an event. It was a shotgun day trip to the outer banks, eastern shore or mountains. It may have involved hiking, camping or a stop at a brewery or BBQ joint. Regardless, there was always a story to tell. I’d like to take a moment to summarize what I see some of the big events in my personal history of flyfishing videos and the culture surrounding them. The iphone made capturing quality video easier. 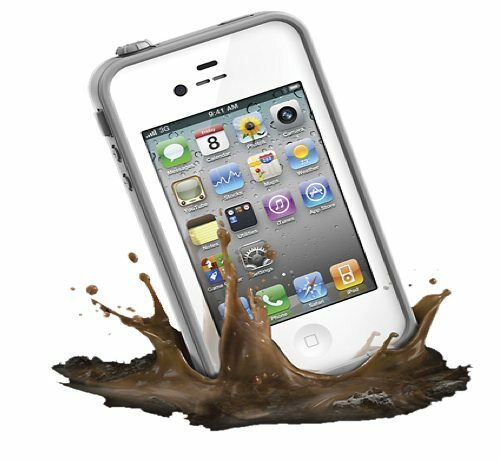 Lifeproof cases made shooting in and out of water less risky. The GoPro definitely changed the game (remember when the fish eye effect was a sign of a cool video?). My Gopro HD sits unused and out of battery buried in my gear bag. Then there is the music. First bluegrass and mountain music. Rolf Nylinder brought Tallest Man on Earth into the game with a more artistic fishing video, Trout is All. And the guy who, in my mind, played a big role in re-thinking how we edit videos, including the idea of using deep track, hip hop beats you wouldn’t think would match with a fishing video, Yukon Goes Fishing, surely helped make DIY videos cool. But even he, has moved on to other projects, though, his instagram account is still very active with high quality photography. And I believe he does put out video marketing flyfishing and a fly shop in Colorado. Instagram has moved in over Youtube and Vimeo as the the place to stake your popularity claim leading to more folks getting high end cameras instead of putting their energy into video. That being said, the aerial shot with a drone is currently a standard and enticing novice videographers to take a shot at sweet edits. Check out some of @jrieke21 videos. Awesome stuff. So where does this leave us? 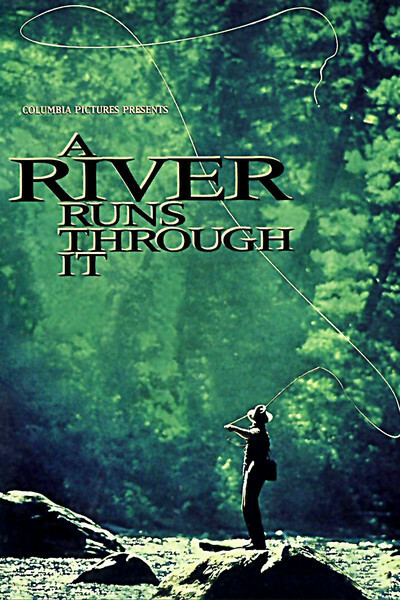 The Fly Fishing Film Tour is still running strong, but most of the movies are starting to look the same to me. Stories about old friends reuniting, last frontier fishing, different species on the fly you never thought of (long nosed gar anyone? ), or conservation. All of these are great and important, yes, BUT, I think the time has finally come. The “big movie,” the one that inspired a generation of fly fishers to dream of the old west, is 25 years old. And The film left on the runway for years, “The River Why” was a dud. We can do better. We must do better. I’m not saying we need to have Channing Tatum in the next leading trout fishing murder mystery, though I would watch it. But still, I think it is time we take the next step in this fly fishing film adventure we’ve been on. Lets see it people. Let get some plot and character development. Lets get creative. There are lots of stories to tell, and I have a feeling, there is a great one just waiting to be filmed. Coming soon to a theater near you…. So, what do you think? Where does fly fishing film go from here? August is hot. August is humid. You are bushwhacking through nettle and wild parsnip with sweat on your brow, burning your eyes and fogging up your sunglasses. Finally, your choice to wet wade seems so like the best decision since you switched to fly fishing. The cool water surrounds your feet and legs. You swing your hat through the cold water and slosh it back onto your melon while chills run down the back of your shirt. I don&apos;t get to fish cooler early mornings or twilight often these days due to being blessed with a 3 year old and 10 month old, so I take the time on the water without reservation. When I get to spend it with another angler, it is an added bonus. I like seeing water from another&apos;s eyes. And in the heat, sometimes it is nice to just watch someone else cast. These blurry days of August are intense, but they are also brief. There is a maple tree outside my office that always gets a jump on changing her wardrobe. She just can&apos;t wait to put on the blaze orange and marshal in the colors of fall. I saw the first orange leaf today. And though I&apos;m tempted to wish for fall, just as I&apos;m tempted to take in even the smallest sip of crystal cool spring creek water, I want to savor this hazy heat. It doesn&apos;t last long. If you are going to lust after colder days or take that sip from the creek, be prepared for weather cooler than you&apos;d like and diarrhea that may be relentless. Take a dip in the spring, and enjoy it; don&apos;t drink it. Giardia isn&apos;t worth it.